From a northwest view, the pouring of concrete for the ground floor of Melrose Hall can be seen; the Gymnasium is in the background. 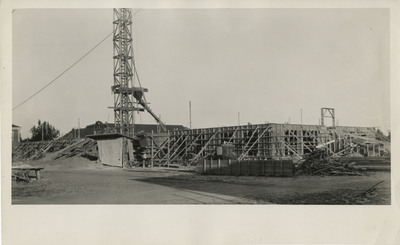 Unknown, "Melrose Hall Construction 02" (1928). Linfield College Archives Photograph Collection. Image. Submission 236.